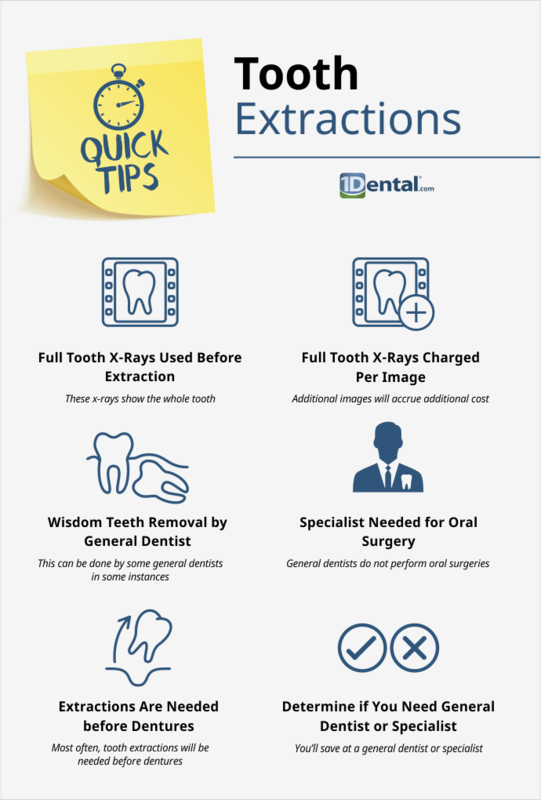 The following pages will go into more detail on some different types of tooth extractions and reveal sample dental bills for each that you can use as a guide when you go in for your own tooth extraction. The prices in these bills were compiled using the average discount you would receive with the Careington Care 500 plan. To maximize savings, see a qualified general dentist. However, listen to your dentist if he refers you to a specialist. Specialists have years of study in that particular area and you’ll still save with your plan at a specialist. How Much Does Molar Extraction Cost? What Kind of Dentist Should I See for the Best Care? A Full Mouth Reconstruction - How Much Will It Cost?